EPA published a proposed rule in the Federal Register on October 1, 2018 that would revise the agency’s approach to regulating appliances containing substitute refrigerants, such as hydrofluorocarbons (HFCs). This rule, if finalized, will significantly impact obligations for owners of equipment containing these refrigerants. Could this proposed rule affect your business? Let’s take a closer look at the details to find out. 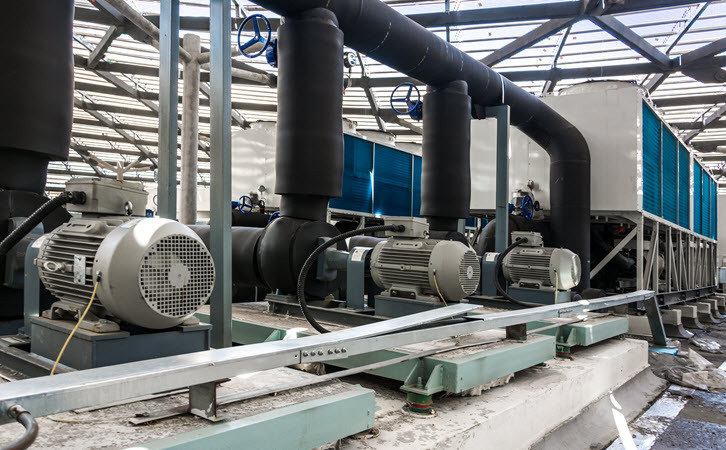 Many facilities across many different industry sectors operate stationary refrigeration and air-conditioning equipment including air conditioning used for comfort cooling, and industrial refrigeration equipment for bulk storage of perishable products. Many traditionally used refrigerants contained chemicals that have been classified as ozone-depleting substances (ODSs) because they destroy the stratospheric ozone layer that shields the earth from the sun’s harmful ultraviolet (UV) radiation. However, many substitutes for ODSs that were once considered “safer” than traditional refrigerants have harmful effects of their own. These include HFCs, which act as greenhouse gases and therefore contribute to climate change. EPA regulates refrigerants under Section 608 of the Clean Air Act, which establishes requirements for maintenance, repair, inspections and recordkeeping pertaining to refrigerant-containing equipment. On November 18, 2016, EPA issued a final rule that changed many refrigerant management requirements, as we discussed in an earlier blog post. One of the most important changes in the 2016 final rule extended requirements that previously applied only to ODS-containing refrigerants to substitute refrigerants such as HFCs. Numerous stakeholders — including representatives of the National Environmental Development Association’s Clean Air Project (NEDA/CAP), a multisector coalition of manufacturing companies, and legal counsel for the Air Permitting Forum, a group representing 50 Fortune 500 companies in air permitting issues — have raised concerns about the extension of refrigerant management requirements to substitutes. EPA published a letter to these stakeholders in August 2017 indicating that it was considering revisiting the 2016 final rule in light of these concerns. The new proposed rule follows through on that stated intent. The proposed rule would leave most aspects of the 2016 final rule unchanged, including those pertaining to ODSs, but would rescind the extension of maintenance and leak repair requirements to appliances using substitute refrigerants in 40 CFR 82.157. EPA will be holding a public hearing on the proposed rule on October 16, 2018, with the public comment period closing on November 15, 2018. Finally, the proposed rule would extend the January 1, 2019 compliance deadline for maintenance and leak repair provisions for appliances containing only substitute refrigerants. This extension would be between six months to one year in duration, and would be a stopgap measure while the EPA considers the proposal to rescind these requirements. If you have refrigeration-containing appliances containing 50 pounds or more of charge that use only substitute refrigerants, you will face fewer refrigerant management obligations if the proposed rule is finalized. It is important to remember, however, that regardless of the applicability of Section 608 requirements, you still have other safety and environmental obligations for your substitute refrigerants. These include SDS, labeling and training requirements under the Hazard Communication standard, as well as EPA Emergency Planning and Community Right to Know Act (EPCRA) requirements for emergency planning, notification to local fire departments and completion of the Tier 2 report, if applicable. Remember that some refrigerants such as ammonia are classified as extremely hazardous substances (EHSs), and would therefore trigger emergency planning, notification and Tier 2 reporting requirements at much lower quantities – 500 pounds in the case of ammonia. It is essential that you have an effective strategy for identifying and tracking refrigerants in your chemical inventory, and for flagging EHSs to be able to effectively manage your obligations. It remains to be seen if the proposed rule will be finalized as written, or even finalized at all, but regardless of the ultimate fate of these proposed changes, all owners of refrigerant-containing equipment still face multiple safety, environmental and best management practice requirements. Luckily, there are a number of tools available that will make meeting these requirements much easier. Effective refrigerant management starts with accurate chemical inventory management, and our MSDSonline SDS & Chemical Management solution will give you the insight and control over your chemical inventory you need to properly manage refrigerants, including easy 24/7 access to SDSs, flagging of EHSs, and simple reporting tools for completion and submission of your Tier 2 reports. In addition, The VelocityEHS Audit & Inspection solution lets you easily schedule and track leak-rate inspections as required under Section 608, and integration with our Corrective Action solution means you’ll be able to easily manage all follow-up and maintenance activity, including repairs necessary to reduce leak rates. Combine that with our Compliance Management solution, and you’ll be able to track all of the inspection due dates and other compliance tasks you and your workforce must manage. Designed around input from EHS professionals like you, VelocityEHS solutions make it easier to meet new compliance challenges while managing your existing obligations, even in today’s changing and uncertain regulatory landscape. Contact us today to learn more about how we can help you on your EHS leadership journey.